Hogs find the sunshine on a cold January day in eastern Nebraska. In addition to pigs, the Delaney family raises cattle and sheep and grows corn, soybeans and hay. That's what happened to the Delaneys, a family now trying to save their farm near Fremont, in eastern Nebraska. Harvest Public Media's Grant Gerlock talks with a family that's trying to save their farm from financial ruin. The headquarters of the farm is an office inside a steel machine shed, where they repair broken-down tractors and equipment. Several years ago, when crop prices surged, the family gathered in this office and planned to grow the farm. “More acres, more income. 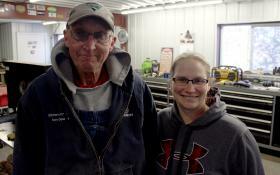 That’s the old philosophy,” said Tom Delaney, who runs the farm with his son, Tim, and daughter-in-law, Jody. They built it up to 2,500 acres — more land than most farms in the area — but when grain prices fell it was more than they could afford. In that same office nearly two years ago, Delaney says two lenders from their bank, Farm Credit Services, told them their farm was in a financial tailspin. The lenders “basically said we’re not going to back you up anymore and you need to sell out,” Delaney said. The family couldn’t cut costs enough to convince the bank that they could pay back their $1.8 million debt. 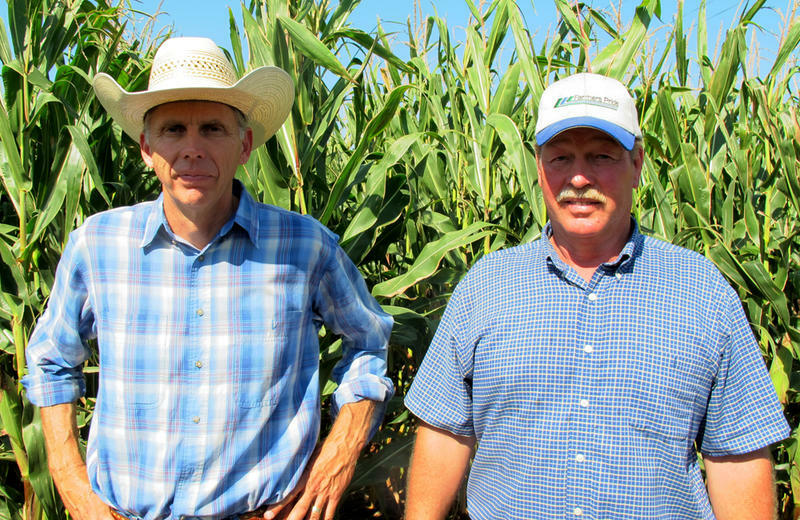 The vast majority of farms in the U.S. are not in as much financial trouble as the Delaneys. Farms that own their land tend to fare better because they don’t have to pay rent, and the value of the land gives them more borrowing power. But the U.S. Department of Agriculture estimates about 12 percent of crop farms are highly leveraged — including new farms that haven't build up assets or farms that grew too fast, like the Delaneys. That level of debt makes farms vulnerable as banks tighten producers' credit. While the financial pain may be limited across the industry, every day is a crisis for the individual farms that lose their loans. “It’s hard for those from a generational farm, feeling a sense that they’re the generation that could be losing the farm,” according to Michelle Soll, the director of the Nebraska Rural Response Hotline. It was established during the 1980s farm crisis to provide financial and legal advice and family counseling. Surrounding states offer similar services, such as Iowa Concern or the Kansas Rural Family Helpline. Jody Delaney says her days have been consumed with efforts to fight off foreclosure and save both the farm and her family. "There were a couple months when they called our loans that we had nothing," she says. 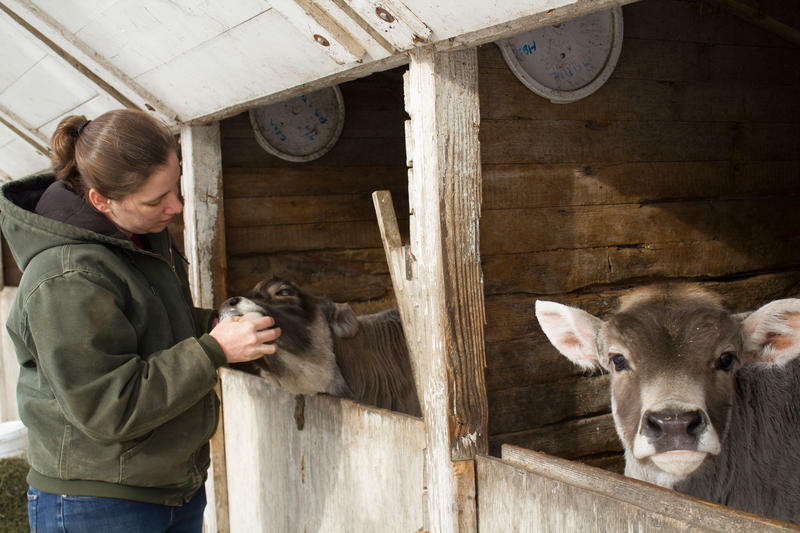 "If it wasn't for some odd jobs, our family would have gone hungry and our animals would have, too." Soll says she advises farmers to be detailed and honest about their business plans when meeting with their lenders because refinancing with a new bank can be a tall task. When one bank says no, it’s not as easy as going to the next one. The Farm Service Agency, which is part of the UDSA, can help producers secure credit by lending money directly or by guaranteeing bank loans. In 2017, the FSA issued $6 billion in new credit, and is currently working with more than 120,000 farm families. But there are limits: Direct microloans go up to just $50,000, and loan guarantees top out at $1.4 million. That may seem like a lot of money, but it doesn’t go as far as it used to. Just one acre of cropland in the U.S. is worth $4,000 on average. And those big loans are leaving farmers with fewer options. "When debt rises to that point, it does limit your pool of lenders," Nebraska Farm Business, Inc., financial analyst Tina Barrett says. "It might be time to liquidate some assets, pulling that debt down, so that you are more marketable to different banks." The Delaneys have downsized to about 500 acres, switched to growing non-GMO crops (which bring in more money than traditional crops) and revamped their farm since losing their loan. There's now a hog pen, where pink and red Berkshire hogs root around in the dirt and make a clatter as they lift and drop the flaps on their feeder bins. 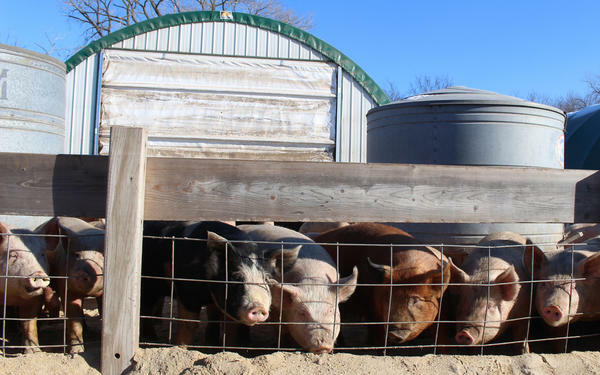 These animals are another part of the Delaneys’ rebuild, with a plan to raise about 2,000 hogs a year for Heritage Foods, which supplies upscale grocer Whole Foods. Tom Delaney shrugs and reaches into the pen to pat a pig on the back. “If that’s what it takes to pay the bills it’s what we’re gonna do,” he says. The farm is still in debt and the bank could foreclose on it, but it is earning a profit again. The Delaneys say this is their chance to save the family farm — if they can find a bank that feels the same way. The massive piece of legislation known as the farm bill affects all taxpayers — whether they know it or not — and runs the gamut from farm safety net and conservation programs to food stamps and loan guarantees for rural hospitals. Since the bill hasn’t been introduced yet, now is the time when interest groups, farmers and others with a stake clamor to ensure their desires will be heard. 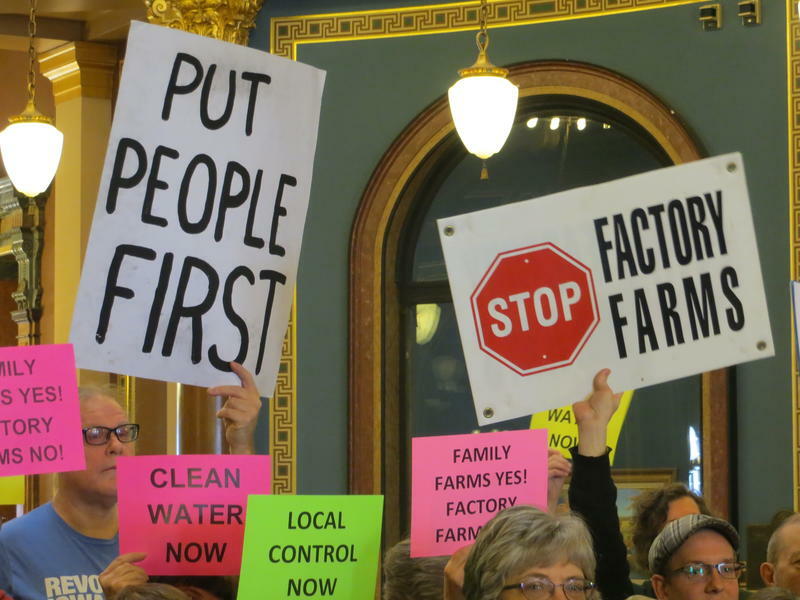 A coalition of more than two dozen state, local, and national organizations rallied at the statehouse today against the proliferation of large hog confinement operations known as CAFOs, which they say have diminished the quality of life in the Iowa countryside. The Iowa Alliance for Responsible Agriculture is calling for a moratorium on new large hog operations until fewer than 100 Iowa waterways remain impaired. It’s one of a package of 15 bills offered by Senator David Johnson (I-Ocheyedan) to strengthen regulation of hog farms.